There are a large number of small-scale intervention studies derived from HAPA. Such parsimonious “10-minute interventions” can be cost-effective and are easily implemented in school or work settings where groups of participants receive the task to fill out some leaflets after the baseline assessment. 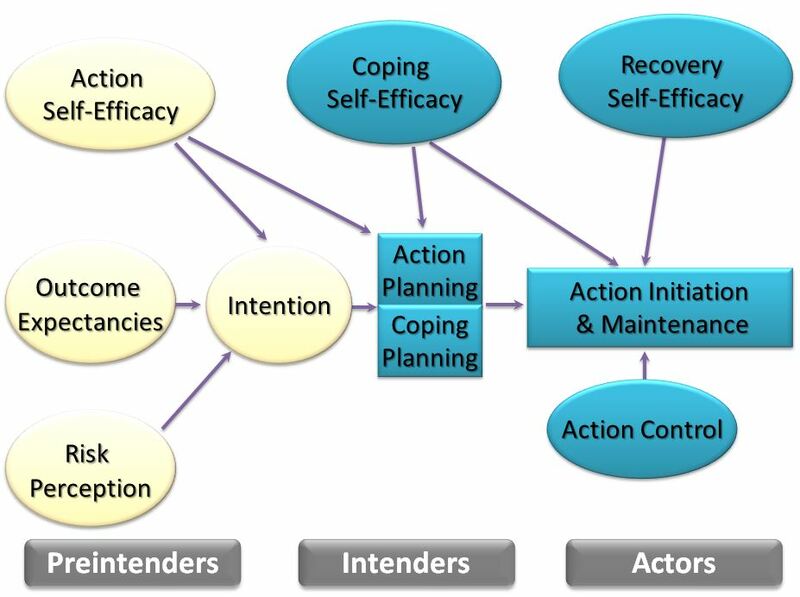 The content of the interventions reflect the HAPA constructs, in particular outcome expectancies, planning, self-efficacy, and action control (e.g., self-monitoring). We have produced the present intervention materials brochure (PDF) to respond to the many requests that we receive from all over the world for such brief intervention materials. There is also an assessment tools brochure (PDF) that can be found here.